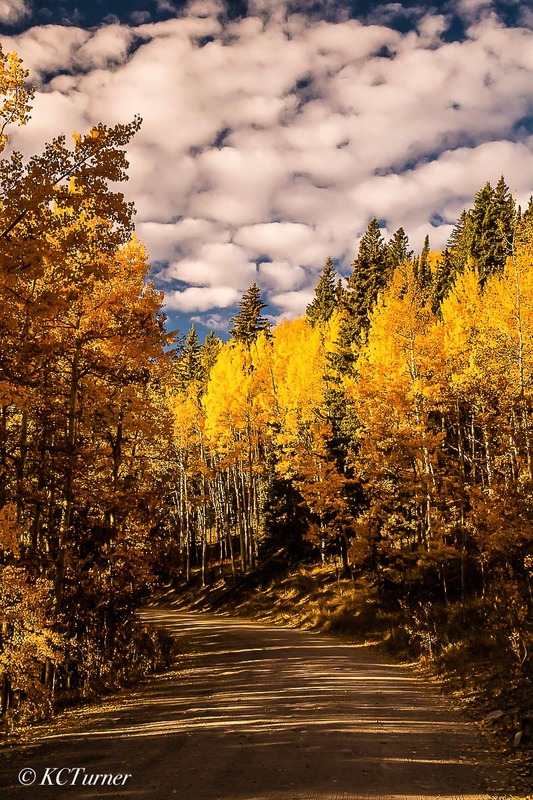 Just outside Breckenridge Colorado up on Boreas Pass the dirt road meanders thru a seemingly endless grove of Aspens oozing with spectacular fall colors such as seen in this photograph. This beautiful treescape was just too much to pass up. I pulled over and captured the landscape from the middle of the road. Luckily no traffic! Photo © copyright by K.C. Turner.